Next Sunday Salon: What’s Your Story? I’ve heard several people rave about Jackaby and want to give it a try one day. It’s nice to have you back! Oh, I LOVED Jackaby! I tried to get a copy of Beastly Bones but was declined. Boo. It is just a fun series! Sherlock crossed with BtVS sounds amaaaaaaaazing. I couldn’t sleep last night so I spent the night reading Austenland. It seems like the only time I get any reading done is when I have insomnia. Glad that you are able to read! Blogging is a huge challenge for me – I end up using the time the baby sleeps to knit, so there goes my writing time. I must pass along your recommendation to a fellow Sherlock Holmes/vampire reader. Happy you were able to finish a book. Jackaby would definitely be a good book to break a slump! I definitely want to reread it before I read Beastly Bones. I just finished the new Gregory Maguire book, After Alice, and it was disappointing and took me ages to read — quite a bummer for one of my favorite authors writing about one of my favorite stories. I need my next book to be awesome. Maybe I’ll just start in on that Jackaby reread! I was so happy to see you posting on my blog, and I am thrilled to see you reading! Hope the baby is finding her sleeping rhythm! 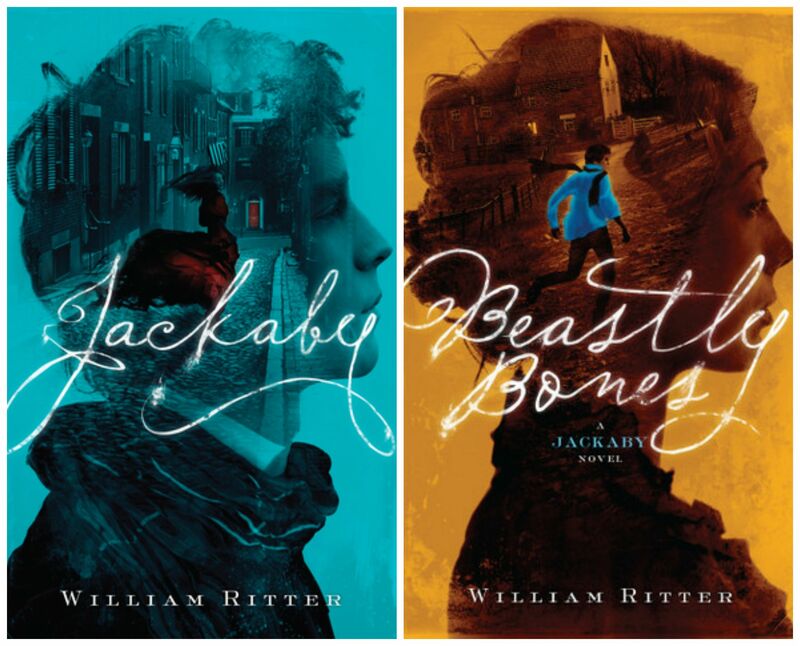 Those covers for the Ritter books are great. Haven’t read them but am intrigued. Looking forward to your thoughts on them. I come to this post very belatedly but: How did you like Jackaby? Sounds like it was generally a win for you? I started reading it from the library a while ago and wasn’t immediately enthralled, but do I maybe just need to persist? You just need to persist. It’s fluff, but good fluff. I actually enjoyed the second book more, but the first book is still good.